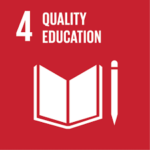 The programmes and branching projects of UNGC Bulgaria are in accordance to the Global Sustainable Development Goals and are in implementation of the 2015+ Strategic Plan of the Network. The Bulgarian Network aims and will continue to motivate and inspire different stakeholders in the development and sharing of their plans and in the achievement of the same synergism, which characterizes the Network’s collective projects, in order to turn the Global Goals in reality. In its work, UNGC Bulgaria gives priority to the collective projects. UNGC Bulgaria has created a unique working approach and traditions on how to unite capacity and obtain a new level of Corporate Social Responsibility – CSR 2.0 or Collaborative Social Responsibility. In our collective actions the vast and various capacity and resources of all the Members as a whole, as well as the abilities for exchange and multiple usage result in synergism – a new level of effectiveness and efficiency. This entails more significant results in terms of scale and quality and better understanding of the invested resources, which are the basics of the good management. The project “Games for good” aims to show that the responsible companies, the good health of the employees, sports and the meaningful causes can go hand in hand. For that purpose the Bulgarian network organizes sports tournaments where each of the companies participating, has pre-selected a charity cause in the name of which they give their maximum effort to win the competition’s prize fund. 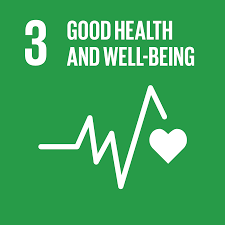 The project is part of the Bulgarian network’s collective programme “Healthy at work” and is directly related to executing Network’s Strategic plan goals on Sustainable Development Goal 3 “Good Health and Well-Being”. The “Proud of my parents’ work” programme aims to demonstrate to children the role of labor as a necessity and value, that regardless of one’s the profession, every person is indispensable and useful to the society. The prog ram creates empathy with the values of labor and progress in life as a result of personal qualities, capabilities and gained knowledge. 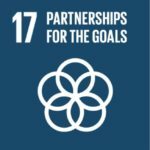 The collective programme of the Global Compact Network Bulgaria is part of the Strategic Plan 2015 + on the implementation of the Sustainable Development Goals. This is an annual program and is open to participation by all interested companies. The fourth edition of the project is part of the European initiative Pact for Youth of CSR Europe. ‘Children’s’ Bazaar of Professions’, is an early career orientation expo which meets the children with various professions, experts, who tell more about the specifics of each profession, and career-orientation experts. The second edition of the Children’s Bazaar of Professions gathered more than 1600 visitors on the 25th and 26th November in the National Palace of Culture. 35 lecturers from various professional spheres took part in the event, while the children could also visit 13 stands, which presented different models and installations and the professions of some of the specialists. The ‘Responsible Choice’ Project is an idea stemming from the member-companies of the GC Network Bulgaria. 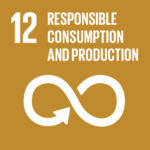 The main objective of the project is to show that the companies can, through transparency in responsible production and supply, demonstrate to the consumers that with their actions the latter have the power to change the production practices, to influence the „fashion“ imposed by advertisers and to nurture anti-consumerist culture in themselves and young people. With this project we wish to provide citizens with an increasingly proactive stance thus imparting to them the confidence and sense of duty, that it is all up to them. Since 2012 onward, UNGC Bulgaria annually marks the World Environment Day. The theme of 2016 “Go Wild for Life” is focused on poaching, illegal trade of wild animals and trophies from them, and unregulated fishing, which lead to the endangerment of many animal and plant species. The Bulgarian Network led an information campaign with the help of the expert partner „Green Balkans“ and the support of the Bulgarian Chamber of Mining and Geology. The campaign was in two directions – public virtual event and internal communication among more than 10 000 employees in the companies members of the Network. UNGC Bulgaria was the first Bulgarian organization to sign the Pact4Youth initiative. The Pact for Youth is a mutual engagement of business and the European Union leaders. Initiated by CSR Europe, it brings together representatives for business, education and youth, and the European institutions. 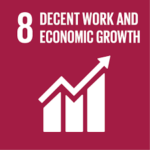 We call on all businesses, social partners, education and training providers, youth organisations, public and private employment services, teachers, trainers, learners and parents as well as other key actors, to develop or consolidate partnerships in support of youth employment and inclusion. In this regard, UNGC Bulgaria has directed its efforts towards bringing the business and the education institutions closer. In October 2016, the Bulgarian Network participated in the conference “Economic Challenges: Migration, Globalization, Sustainability, Politics”, organized by the „Economics“ Department of the University of National and World Economy, the Economics Faculty of Sofia University „St. Kliment Ohridski“ and the Economic Research Institute of the Bulgarian Academy of Sciences.